Bill said: “Team Gray really enjoyed their weekend which gave a couple of our newer members a chance to play in a high level competition. We had a good Saturday, coming from behind to beat Johnjo’s team in our first game, changing our game plan a bit in the second half which allowed us to score a big end in the seventh to pretty much seal the win. We then had a very close game against David Whyte’s outfit in our second game. We always struggled to impose ourselves on that game as they played really well but we were in with a shout until the seventh when David played a great hit to score two. 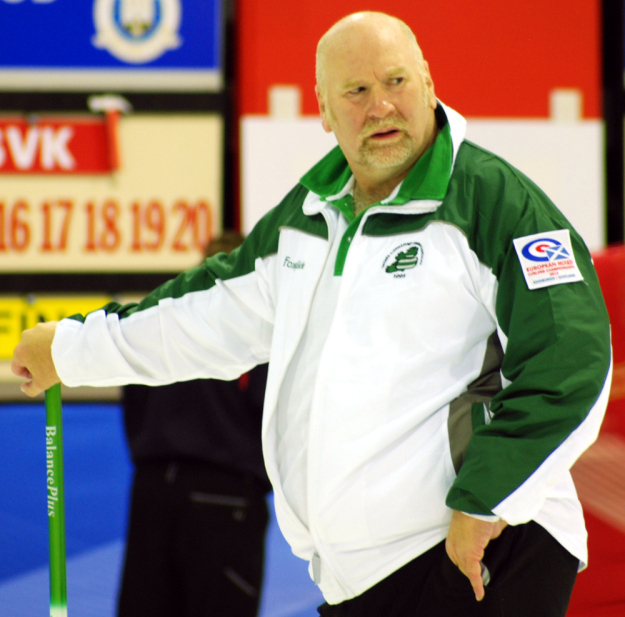 “On Sunday in the semi final, we found Team Kenny to be much tougher opposition than they had been in the first game on the Saturday. Coming from behind 6-3 down after six, we couldn’t quite repeat the heroics of Saturday but managed to get ourselves into a position to possibly force a steal in the eighth end but my last stone guard over-curled slightly to give the big man the narrowest of opportunities to get through the guards and take the shot to win – which he nailed of course!! “The final itself was worthy of the name – a really close fought game which came down to the last stone as had the semi. I don’t suppose we could have asked for more! 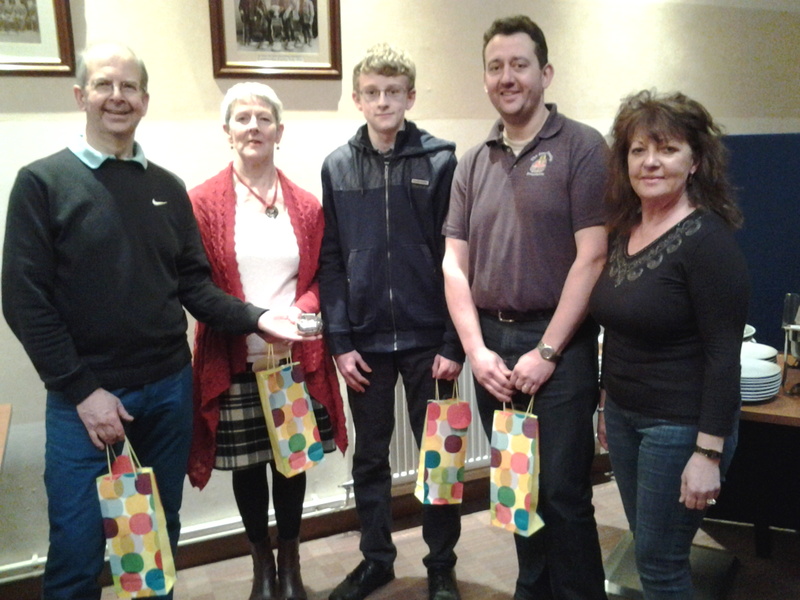 “Commiserations to David and his gang – great to see ‘the young ones’ Ailsa and Alison in action together. The future is bright!! Congratulations to JJ and his team for a great win. Jen was as white as a sheet as she waited for David to play his last stone attempted runback in the last end!! She recovered pretty quickly once she realised they had won! 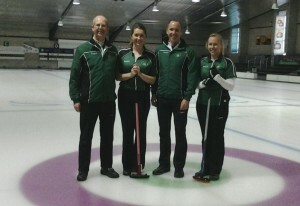 “As for my team, it was a pleasure curling with them and I thank them for asking me to skip them. 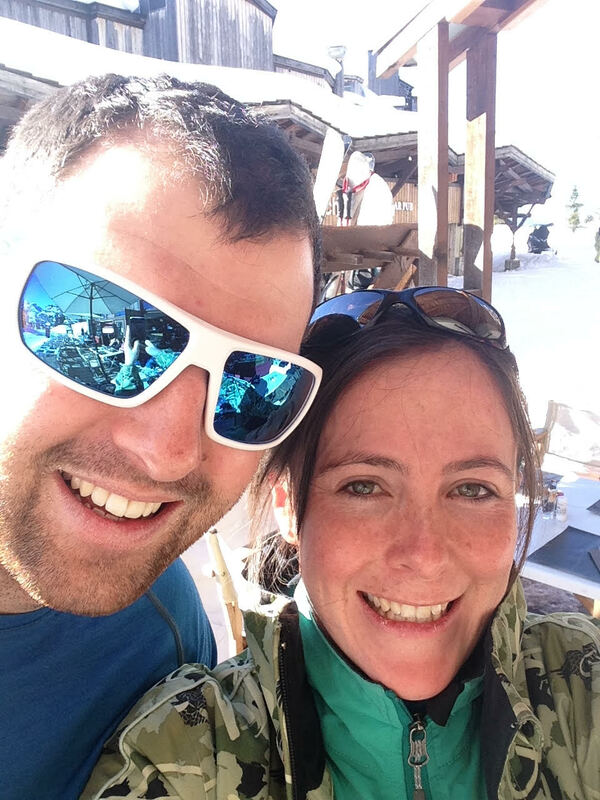 I want to particularly mention Jacqui who, like Jen was playing in her first outing in the ICA and did herself proud as did Ross and Margarita. 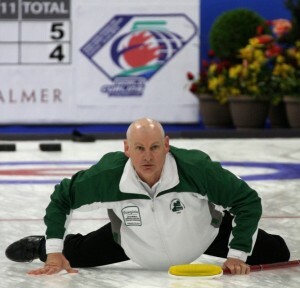 As Ross commented; ‘the margins are pretty tight at this level’ which was a measure of the standard of curling on show. 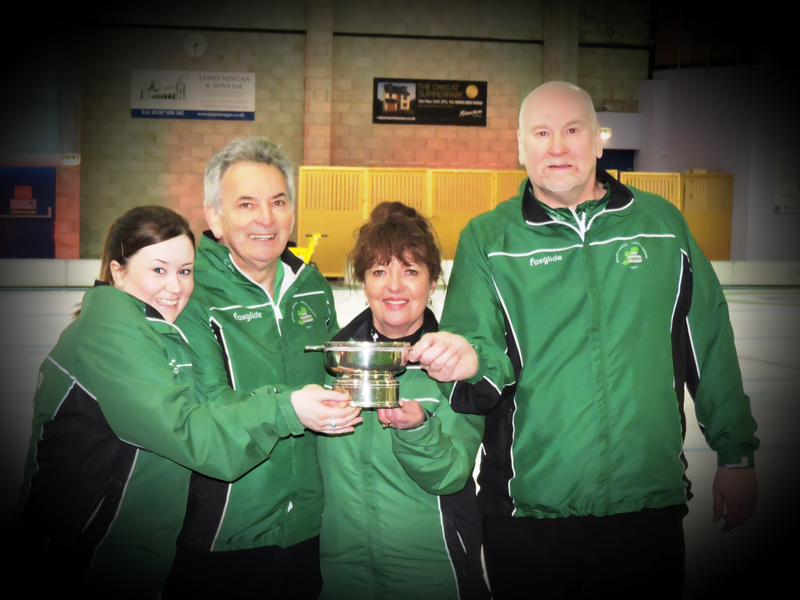 Jen Ward – Irish Mixed Curling Champion! 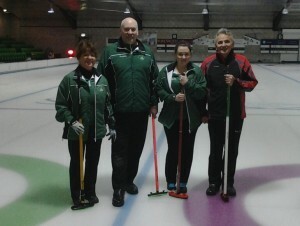 team of Marie O’Kane, Tony Tierney and Jen Ward won the Irish Mixed Championships at Dumfries Ice Bowl this afternoon beating David Whyte, Alison Fyfe, Neil Fyfe and Ailsa Anderson in the final. A terrific achievement for new curler Jen Ward. Well done Jen – Irish champion! More news, reactions – and scores – tomorrow. 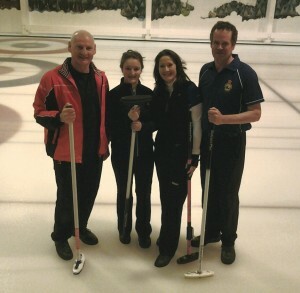 In the round-robin at the mixed in Dumfries the team of David Whyte, Alison Fyfe, Neil Fyfe and Ailsa Anderson go straight to tomorrow’s final after winning both their games. 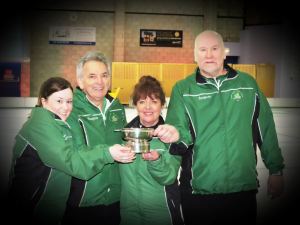 Johnjo Kenny with his team of Marie O’Kane, Tony Tierney and Jen Ward lost both of their games but are still not out of things as they will play the team ranked two – Bill Gray, Margarita Sweeney-Baird, Ross Barr and Jacqui Barr -with one win and one defeat, in tomorrow’s semi-final. Game 5 – final: winner of semi v highest ranked after 3 games. 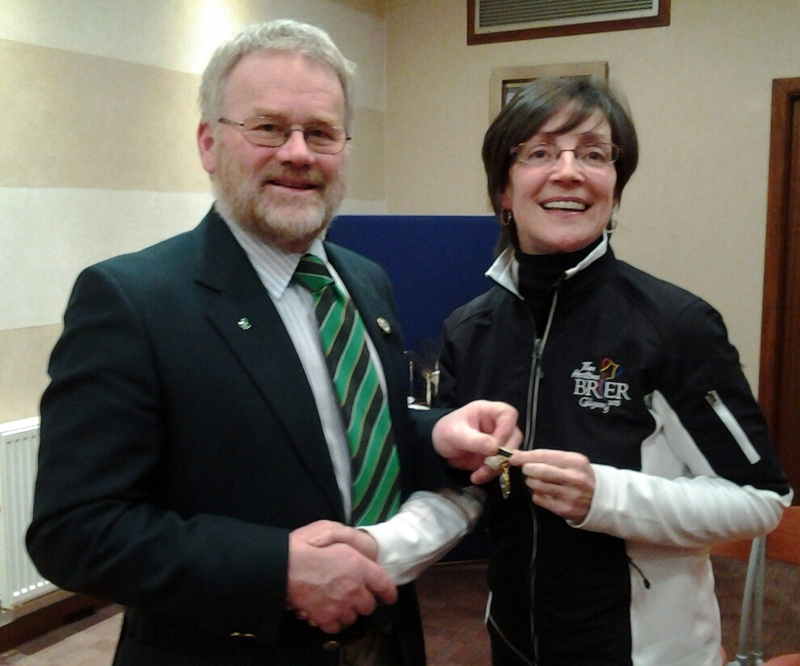 We were delighted that Jacqui Barr joined the ICA ranks recently. Jacqui will be playing with dad Ross at the weekend. Jacqui is 28 years old and qualifes for international duty as dad was born in Ireland. She has been curling for about two and a half years after starting curling with the Saturday Sweep club at Braehead before moving on to join the Braehead Virtual Curling Club. 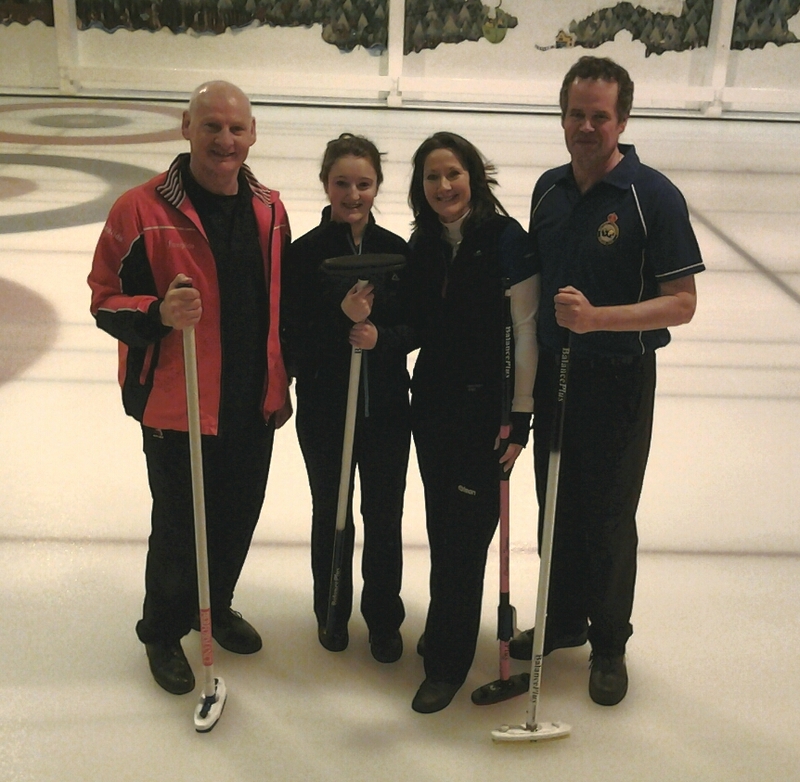 Recently Jacqui become a member of Bearsden Curling Club. She is a chartered accountant and works as a senior financial analyst for Supply Technologies in Glasgow. 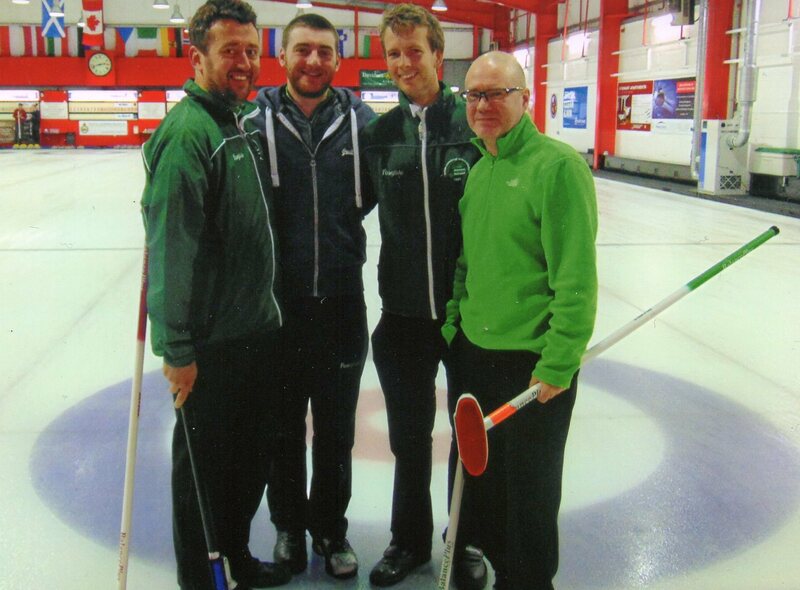 The team of David Whyte, Arran Cameron, Andrew Gilmore and Frances Donald won the closing ICA bonspiel at Hamilton Ice Rink earlier this month. Congratulations to them. 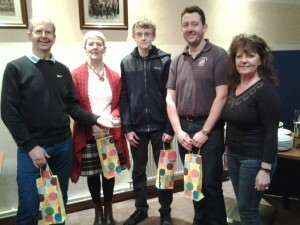 Bonspiel organiser Marie O’Kane presented them with the trophy and prizes before the annual general meeting. At the AGM, tribute was paid to retiring president PJ Wilson who had done sterling work for the ICA during his two years in the hot seat. Mr President hands over to Miss President! Here is PJ handing over the president’s medal to his stunned successor, who thought she had another year up her sleeve before becoming a responsible person! “Like Johnjo says our team of Tony Tierney, Alan Mitchell, Alan Gilmore and myself were a last minute get together and, with no practice together beforehand, I think the score in the first half of game one was a direct result of that. But after half time we got ourselves going and took that game to the last stone. “In games two and three we played much better as a result of getting to understand each others’ play. We did much better and won both two and three, although both were tight games. “Game four was a last stone decider and we had my final draw for the game, which was good for weight, but was always high of line and as a result we lost a two and the match. “The decider had plenty of spice as both teams were up for this one. Once again the last stone was needed to produce a winner. In the tenth end we had a draw for a two to win the match and the championship but as I played the stone I got a pick up from my hand and it came up short, catching on a front guard. 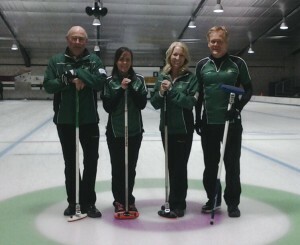 In the extra end we had a good end set up as we were lying three when Johnjo went to play the final stone. He drew a lovely shot between our counters to win by an inch. “I thoroughly enjoyed the competition as did my team and we all enjoyed playing with each other over the weekend. Irish Pete has always been the man for the big shot. Here, thanks to Gail Munro, is the clip of his last end, last shot double raise to beat PJ in the Irish weekend at Stranraer last month. PJ was two up and possibly lying two when the thunderbolt struck!